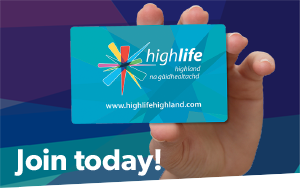 High Life Highland’s (HLH) Coach Education Grants have been established to support voluntary sports coaches and leaders, living and coaching within Highland. Grants will be awarded to volunteers who have shown commitment, a willingness to learn and have contributed to sport in the Highlands. Grants are awarded to provide opportunities to further develop and grow your coaching skills. Funding is available to contribute to course costs, travel and accommodation (limits apply). The Coach Education Grants can be used to help fund a variety of course types available depending on your experience and knowledge as a coach. National Governing Body Introductory courses e.g. Badminton Leaders, Hockey Leaders, Basketball Getting Started, Shinty Foundation, Netball Getting Started, Football Level 1 etc. Health & Wellbeing courses – Jog Leaders, Walking Leader etc. Non UKCC Sports – Archery, Athletics, Football, Golf etc. Before you apply to HLH for funding, please note that other sources of funding should be sought in the first instance. A list of Highland specific funding opportunities can be found at the bottom of the page. As coaching would normally be carried out within a club structure, whether a sports club, outdoor club or school/after school club we would expect at a very minimum that clubs or deploying bodies would contribute 25% of the total cost (course fees and travel) to reflect the commitment that volunteers make to their club/organisation. Sportscotland/National Governing Bodies provide a subsidy for all UKCC Courses; we would expect all candidates enrolling on a UKCC Course to apply for this support. Further information and application forms can be found here. For non UKCC sports, health and wellbeing and leadership courses: if no other funding has been secured except club funding, a grant of 50% of the remaining costs will be awarded – up to a maximum of £200. If there is no other funding committed we require evidence of applications to a range of sources. For other sources of Highland specific funding see the list below. For UKCC Level 1 courses 25% of overall costs should be funding by your club/organisation and candidates should also have their UKCC Level 1 subsidy in place (40% towards course costs only). Where this is the case we will consider funding remaining costs up to a maximum of £200. For UKCC Level 2 courses candidates should have secured their sportscotland subsidy (60% of course costs) and have 25% of overall costs funded by your club. Where this is the case we will consider funding the remaining costs – up to a maximum of £100. When applying for a grant, coaches must agree to commit to the conditions of the grant. The recipient must be willing to work at the level of their qualification to carry out the detailed number of voluntary sessions after completing the course. Introductory/Leadership course 20 hours (min of 2 per month) Max of £200 or 50% of remaining costs (whichever is the lower). UKCC 2 or equivalent 50 per annum Max of £100 or remaining costs (whichever is the lower). UKCC 3/equivalent or higher level 100 per annum This will be awarded on a case by case basis. The record of volunteer hours must be signed by the head coach. HLH also require one sample session plan to be submitted along with the claim form. If requested, coaches must be willing to submit a quote or short written submission to use in a newsletter/online to promote the programme and supply picture(s) of coaching a session. Consideration may be given to support costs for travel and accommodation. This consideration would be based on travel to the closest available course and may not be granted if a course can be arranged more locally or where there is an opportunity for a course to be organised locally in response to level of demand. If considering a request for support to travel to a course, please discuss with us in advance. Requests for grant aid for travel/accommodation for a course that is less than 50 miles away from home will not be awarded. Travel to a course that exceeds 50 miles away from home (one way), 25p per mile may be awarded. If a course is over 100 miles away from home (one way), overnight accommodation may be considered on a case by case basis at £35 per night. We will not fund First Aid, Safeguarding and Protecting Children or other pre-requisite skill based qualifications. Please see our Course Calendar for low cost access as well as many other sports specific courses. Complete the online application form or download a copy of the application form below fully complete it and post it to the address provided. Group applications are also accepted where a club has two or more coaches attending the same course. Please download the Group application below. All applications must be received before the course start date. Applications will be reviewed and decided whether funding can be awarded (based on guidelines above). If successful, HLH will send out an offer letter and claim form by email or letter. If you are unsuccessful, HLH will notify you. Once you have finished your course, the claim form must be completed and returned attaching receipts for the course and any associated costs HLH have agreed. Claim forms and receipts must be received within 1 calendar month of the course finishing date. HLH will reimburse the agreed amount by BACS when all paperwork has been verified. Confirmation of a coaches volunteering commitment will be sought from the Head Coach/Referee, if this is not fulfilled the full amount of funding must be repaid.